1 box of cake mix + the water, eggs and vegetable oil called for on the box. 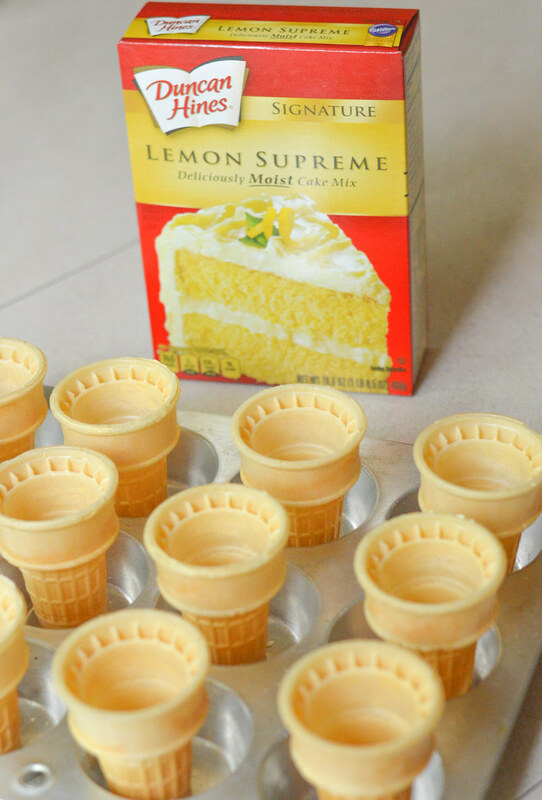 I used the Duncan Hines Lemon Supreme mix. Heat your oven to 350°F (325°F for dark or nonstick pans). 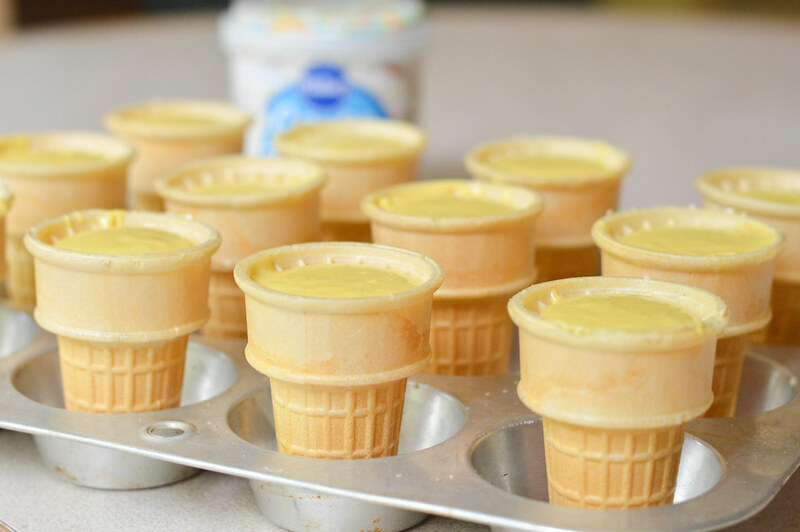 I found that my cones did not need them, but if you would like you can place a muffin baking cup in each of the tins. 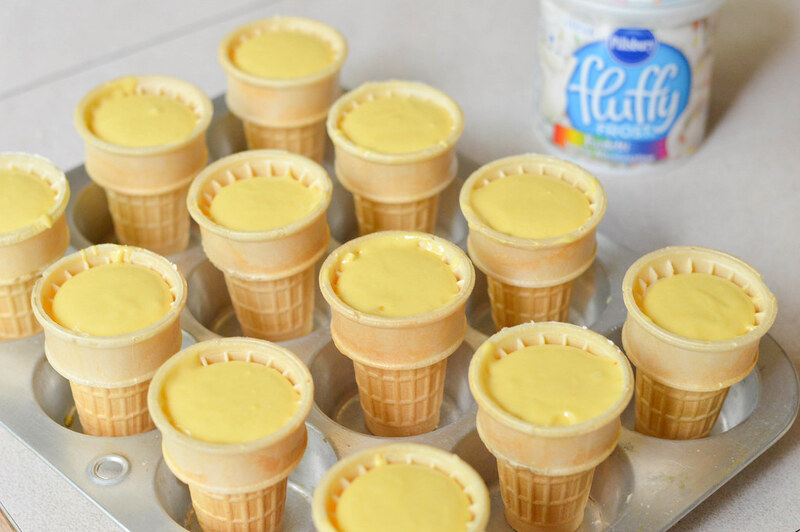 Place a cone in each muffin tin. Divide the batter among the cups, leaving some room towards the top. 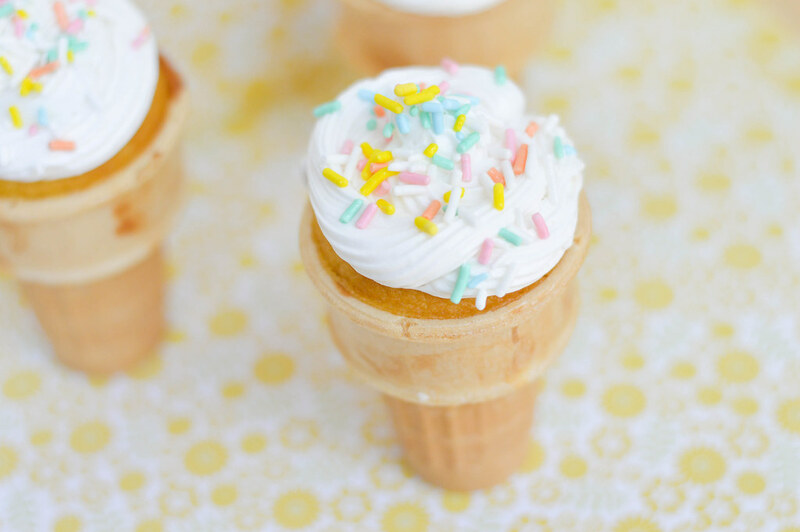 Bake anywhere from 16-22 minutes, but be sure to check your cupcakes with a toothpick frequently to make sure they aren’t over cooking. When the toothpick comes out clean they are done. 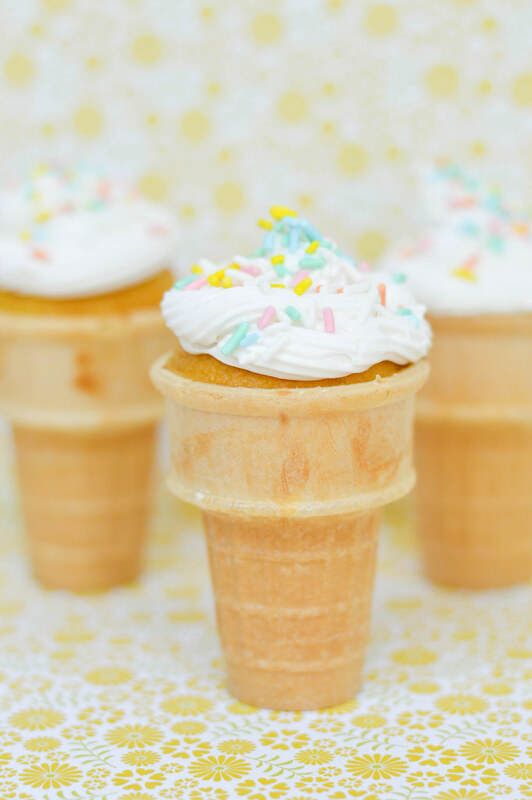 Give a generous amount of time for the cupcakes to cool (about 30 minutes or so). Frost as desired, however for the neatest application I recommend using a frosting bag with a tip.